Is it a Grade II listed building in a Conservation Area or a warehouse on a commercial estate? 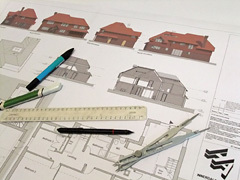 Is the service required just a simple survey for record drawings, or a full scheme design and construction taking months or years? The Royal Institute of British Architects (RIBA) publishes A Client’s Guide to Engaging an Architect. This explains how fees are calculated and at what stage in the work they are usually due. We analyze potential clients’ needs and produce a fee offer specifically tailored to their requirements after conducting a site visit to fully understand the brief. 2007 – 2019. All rights reserved.